Fishing has been hit or miss from Strange Island out to the Light House, Wash Rock and Beano Creek, we’ve found the last 2 hours through the high slack and into the first hour of the ebb tide to be most productive. 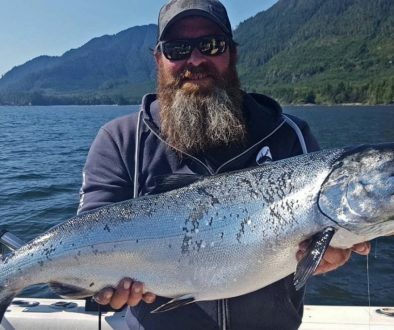 Most of these early Chinook that we have been catching are in the 10 to 18 pound range and are full of immature needle fish and squid. We are using a combination of needle fish hootchies, four-inch chrome spoons, as well as flasher and anchovies mimicking the smaller bait fish they are feeding on. We have been locating salmon from as shallow as 40 feet in the early mornings, down to 110 feet and deeper later in the afternoons. Bottom fishing opportunities remain good (when the weather permits) with lots of chicken halibut being caught close to the beach at the light house, Beano creek and in tight to Bajo reef, there are also hundreds of smaller ling cod and rock fish being caught in the same areas, be sure to measure the ling cod as many of these immature fish are under size at this time of year. Most anglers are bottom bouncing with larger baits and jigs, as well as trolling “5” inch glow Tomic plugs and cuttle fish hootchies just off bottom. Glow needle fish, as well as any glow cuttle fish hootchies, are producing the consistent action this time of year. Anchovies slow trolled on a six-foot leader, will always work year-round in area 25/125. Try large 7’ plugs and spoons trolled slowly ten feet off the bottom as an option for targeting Chinook, Halibut, Ling cod, and all species of rock fish. 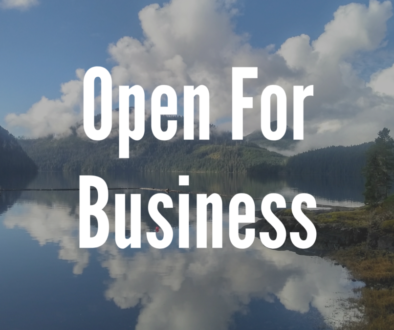 Crabbing and prawning opportunities remain steady all throughout Nootka Sound, however once prawns open for the commercial fishery (sometime around mid-May). They will disappear in a matter of one week and you may have to move further out into the open water to find them. 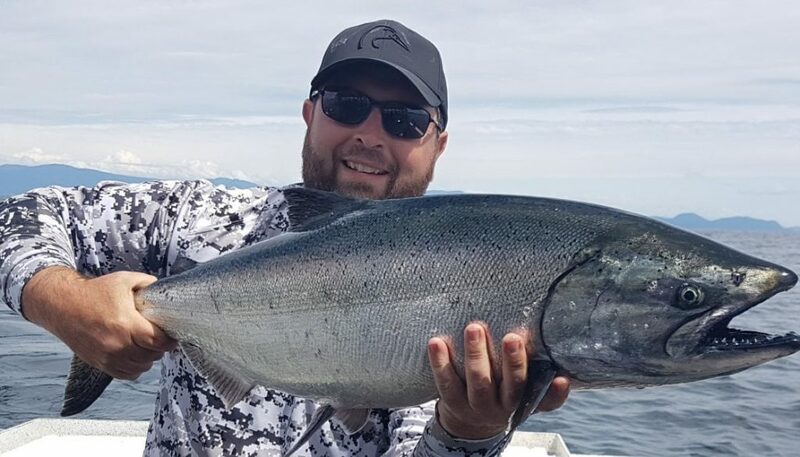 Check the DFO web site for limit and size changes to Coho, Halibut, and Yellow Eye rock fish as well as open and closures for shell fish before harvesting, as there will be some changes for all of these species announced for the coming summer. 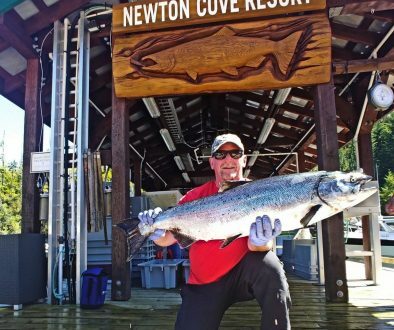 Fresh water fishing has been consistent in our areas for both resident rainbows, sea run cutthroat, and hungry aggressive kelt steelhead returning to the ocean. Most all the coastal streams and rivers surrounding Nootka Sound will now have good numbers of hungry trout looking for early emerging salmon fry during the spring freshet. Some local lakes are producing great trout fishing, again primarily targeting migratory salmon fry and early larvae hatches. Both fly fisherman and troll anglers have been enjoying some early spring success. Check out our upcoming events and derbies for the coming summer and fall; all revenues from these events go towards salmon enhancement and habitat restoration for our local rivers and streams through the Nootka Sound Watershed Society and the Conuma River hatchery.